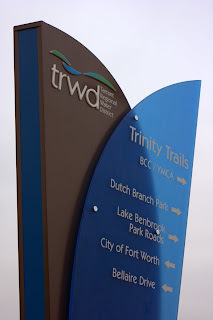 The new bridge in Trinity Park connecting the Trinity Trails to downtown Fort Worth will be dedicated this Saturday, August 25. The unique bridge is a stressed ribbon bridge, that is pretty rare in the US. The dedication will include a ribbon cutting followed by a Picnic Celebration featuring live music, air boat rides and river entertainment. The dedication is free and open to the public, the picnic is catered and a picnic basket for two is $100. Find more information at Streams & Valleys. ... at least according to the NTTA. 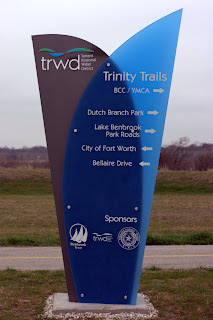 In their latest e-mail update about construction progress on the Chisholm Trail Parkway, the NTTA has stated that the construction for the toll road will not affect the Trinity Trails. As construction progresses on the Chisholm Trail Parkway, plans call for work near the Trinity Trails. During construction, the trails will be open during normal operational hours (5 a.m. - 10 p.m.). However, at night, when the trails are closed, there will be times when they are blocked so that crews can continue construction for the proposed CTP bridges. Safety precautions will be taken along the trails that are impacted by construction including lighting, safety fence and temporary detours as needed. Final scheduling of work near the trail will be determined in the coming weeks. The Tarrant Regional Water District has erected some new signs along the Trinity Trails. 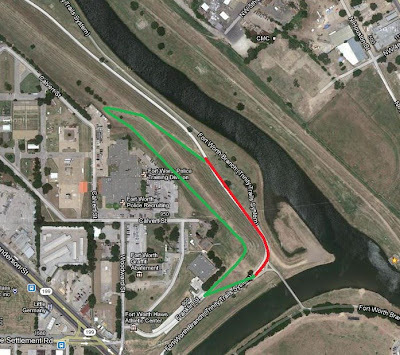 According to a Trinity River Vision Authority blog post, this is Phase 1 of new sign implementation. Phase 2 will "focus on directional signage for trail users. This will include mile markers, street identification signs and trail maps."